If you thought Apple would stop its attack on Blackberrys with iMessage, you couldn't be more wrong. As you know, one of the favorite features of Blackberry users is the blinking light that lets them know when they have a message or something to check on their phone. Well, the iPhone is getting that as well. 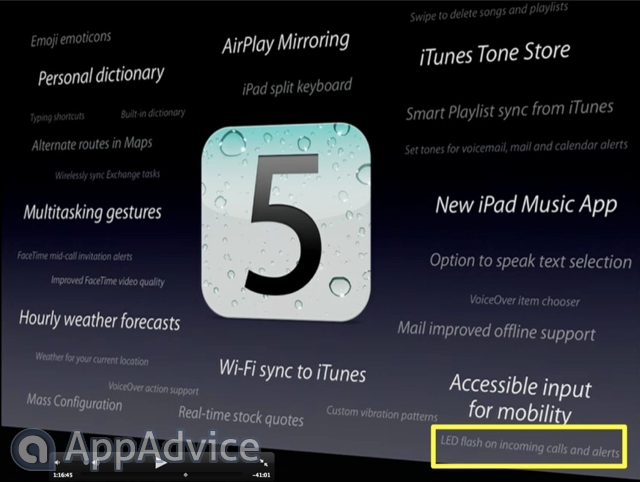 As revealed in a Keynote slide, Apple is introducing what they call "LED flash on incoming calls & alerts". 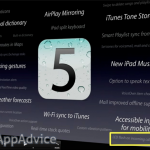 That is, your iPhone 4 will be able to notify you when you have an alert of a call using the LED flash. This sounds like a really amazing feature, and we can't wait to put our hands on it. If it doesn't affect the battery too much, it might be one of the best things Apple introduced today.